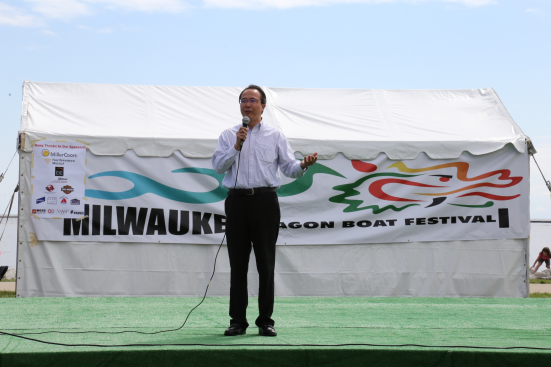 On August 12, Consul General Hong Lei attended the Fifth Milwaukee Dragon Boat Race hosted by the Milwaukee Chinese Community Center (MCCC). 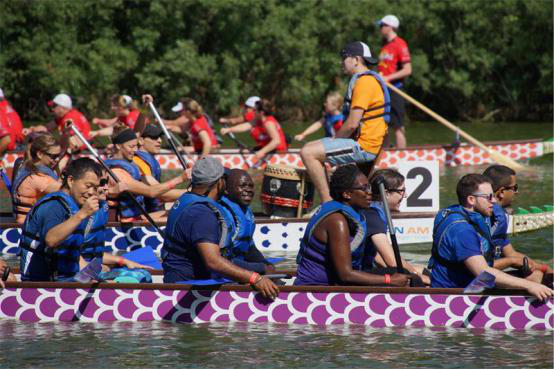 55 teams from Chinese communities and local enterprises from Wisconsin, Michigan and Illinois participated in the race. A total of 2,500 people joined the event. Consul General Hong Lei delivered a speech at the opening ceremony. 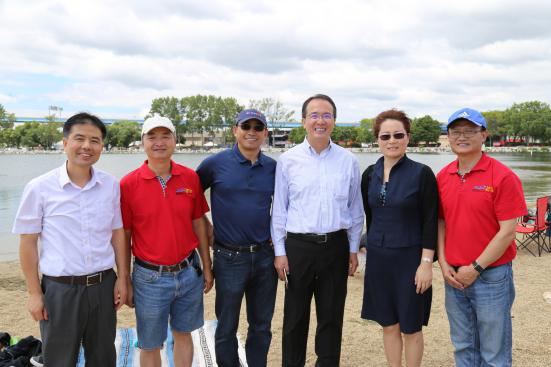 He said that the Dragon Boat Race was originally set up to commemorate the famous ancient poet and patriot named Qu Yuan. Later on it became a tradition for Chinese people to celebrate our traditional cultural heritage. Now it has become a race that brings friends from all over the world to share the traditional Chinese culture together and to bring us closer to our mother nature. 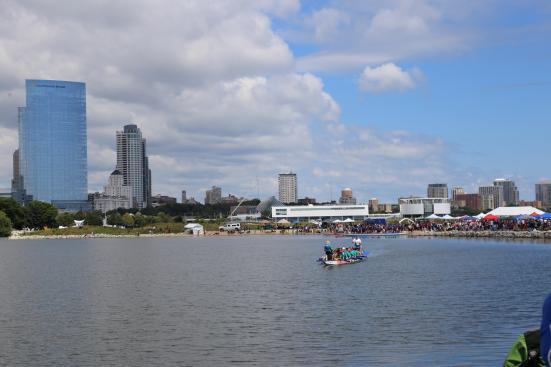 Milwaukee Chinese Community Center has successfully held the dragon boat race for 5 years. 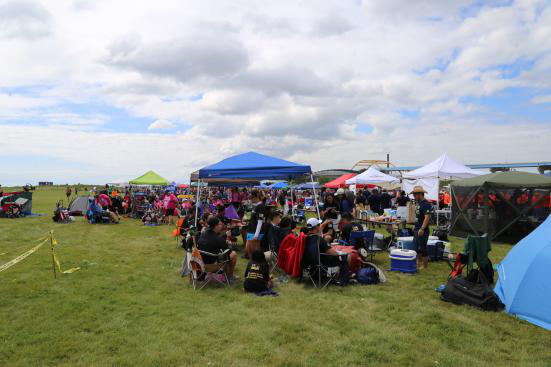 With an increased scale and a growing number of participants, the race is becoming more and more influential, bringing a distinctive Chinese element to the local community. 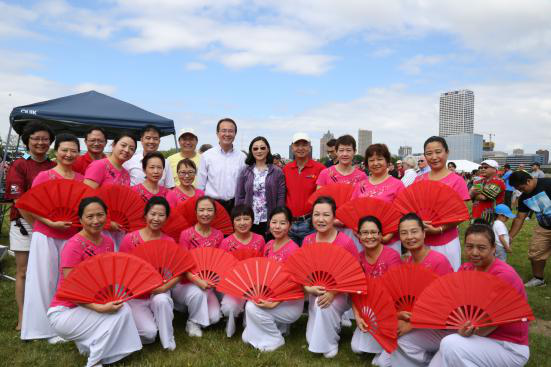 He hopes that the event could attract more Chinese communities, friends and local people to participate. 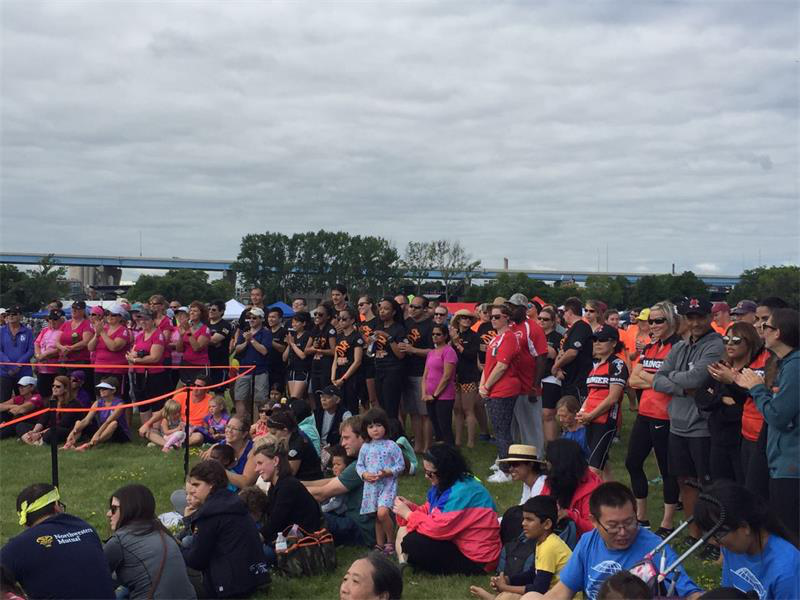 The Dragon Boat Race competition was very competitive, and the audience watched the race with great interest on the beautiful summer day. Consul Lu Xiaohui of Oversea Chinese Section of the Consulate also attended the event.